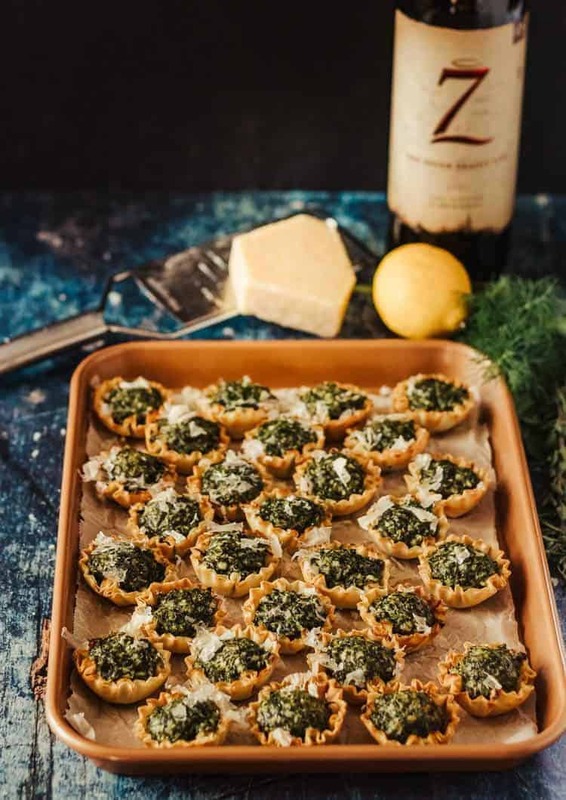 Traditional Greek flavors of the classic phyllo, spinach, and feta pie in a portable hand-held cup… Easy Spanokopita Bites come together so quickly with the help of ready-made phyllo cups, and taste like you worked on them all day… a perfect tapa for your party! I find it almost comforting to count calories, because it makes me conscious of what I’m eating. But on Super Bowl Sunday, I thought, ‘Surrender to it. It’s nacho time.’ Then I ate nothing but Doritos all day. Easy Spanokopita Bites is inspired by (and tastes just like) the spanokopita that I have made for years. Spanokopita is a signature dish made with phyllo (fillo, filo), paper thin “leaves” of flaky pastry dough. I have not rolled my own dough, but I have purchased the paper thin sheets and used them for both spanokopita and baklava. The process is time consuming, involving brushing individual layers of pastry with melted butter, and layering them with the other ingredients. The results are amazing, but this is a project best saved for a day of leisure. Enter Athens Mini Fillo Shells. (No, this is not a sponsored post). 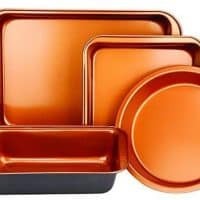 These little shells are perfectly bite-sized, they’re pretty sturdy, and come pre-baked. All you’ve got to do is mix up a filling. If you’ve been following my blog for long, you know I wax poetic on the subject of flavor profiles. Greek flavors are part of the broader category of the Mediterranean flavor profile, and share many ingredients with those from other Mediterranean cuisines. Everything starts with olive oil. I do not exaggerate! Garlic, onions, citrus, tomatoes, cucumbers, olives, greens (especially spinach), eggplant, figs, dates… are typical in Greek cooking (not an all-inclusive list but you get the idea). Yogurt and an array of interesting cheeses (especially feta) highlight dishes from a simple lemon juice and olive oil dressed Greek salad to tzatziki and spanokopita. 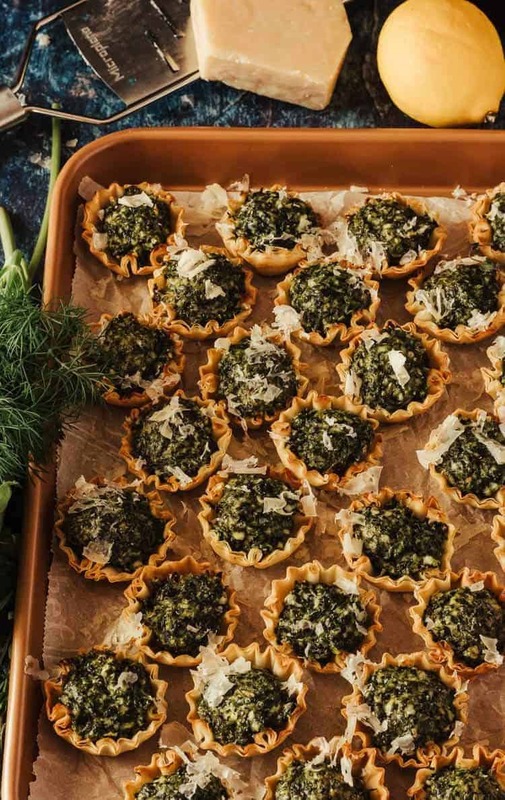 Vibrant fresh herbs find their way into many Greek dishes – oregano, dill, parsley, fennel, basil, rosemary – and I’ve put them to work here with my Easy Spanokopita Bites. I grow many fresh herbs in my garden, but back to back highly unusual hard freezes decimated my herb garden. Dill seems quite hardy, so I harvested enough for my spanokopita. The balance of the herbs came from my local market. I used dill, parsley, oregano, and thyme. Don’t skimp on the herbs! The flavor they bring to these little bites is so fresh and amazing. You may choose to change them up according to what is seasonal and/or locally available. Lastly, PARTY! Here in the US, we tend to work too much and play too little. Whether you follow football or not, make a tray or two of these, add some good cheeses, olives, sliced meat (for the carnivores in the crowd), figs, dates, pita bread and hummus… You get the idea? Don’t forget the adult beverages. 😀 We’ll be enjoying a Doc’s Folly Rosé (a dry, crisp rosé made by my husband fondly referred to as “Doctor A”). I’m looking forward to hearing about your parties! P.S. 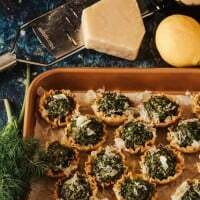 If you’re looking for another “global” type filling for these cute phyllo cups, the Samosa Bites from Food Pleasure and Health caught my eye! 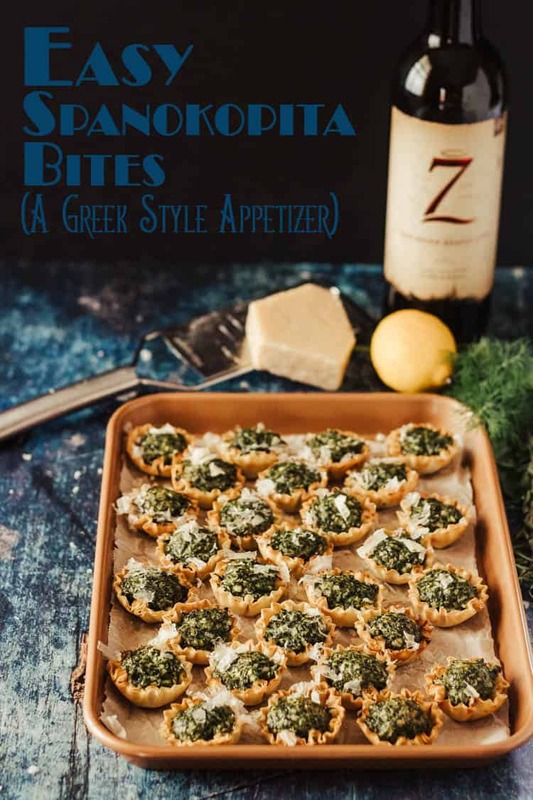 Traditional Greek flavors of the classic phyllo, spinach, and feta pie in a portable hand-held cup... Easy Spanokopita Bites come together so quickly with the help of ready-made phyllo cups, and taste like you worked on them all day... a perfect tapa for your party! Make sure you have squeezed every bit of moisture from the spinach, then add to the bowl of a large food processor. Saute the prepared leeks and garlic until the leeks are softened and beginning to get some color. 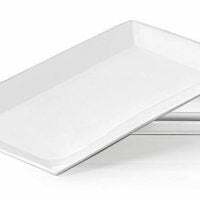 Add to a prep bowl to cool. 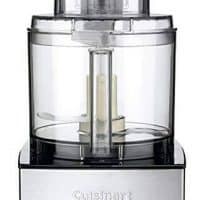 Add the well-whisked eggs to the food processor along with the feta, herbs, pepper, and cooled leek mixture. Pulse until well combined. Spoon the mixture into the shells arranged on a baking sheet. Bake 12-15 minutes until the mixture is set and beginning to brown. You can use fresh spinach (I have). I use an entire large tub (16 ounces), steam it until completely wilted, then press as much liquid as I can from it. If you're using frozen, it is equally important that you remove as much moisture as possible. When I'm prepping leeks, I cut the green part off, and rinse it well, then add to my zip bag of stuff for stock. Remove the root end, slice in two lengthwise, then into 1/2" slices crosswise (into semi-circles). Add them to a large bowl of cold water, and give them a vigorous swishing. This process gets the dirt off all those layers! Be sure to wrap them in absorbent toweling and squeeze to remove moisture before adding to the olive oil. Dill and parsley are probably the most commonly found herbs in spanokopita. Some recipes don't use herbs at all. I love herbs. Make this your own. As I mention in the post, use fresh herbs that are seasonal and/or available in your area. You can also use dried, but cut the quantities from 2 tablespoons to 2 teaspoons. I find that we don't need any additional salt. Feta is a very salty cheese. I use the Athens Fillo Mini Shells that come 15 to a box. They're pre-browned and ready to fill. If you don't want or need 45, you can freeze the leftover filling for another use. I plan to use it to stuff chicken breasts. Yum! I did 30 spanokopita bites, and used about two-thirds of the filling. Calories are for 1 Easy Spanokopita Bite. 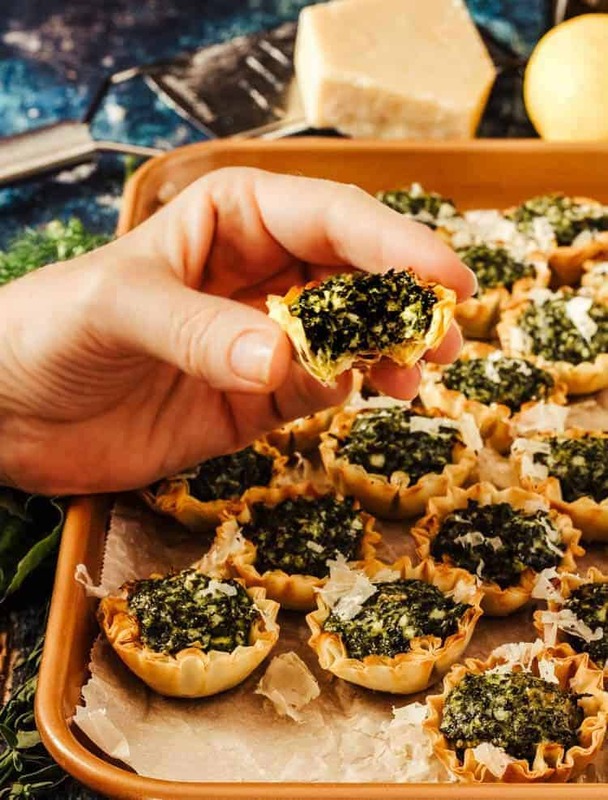 Tamara, these little Spanokopita Bites are such a brilliant and quick take on Spanokopita! I'm loving those Athens shells - I need to look for them and try making these soon! Hope you have a wonderful weekend! Thanks Shashi! Enjoy your weekend as well :-) They really do capture the flavors of spanokopita, but the shells make it so easy! I love spanakopita, and these little tapas capture the flavors really well.